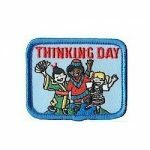 Your Thinking Day* event will be complete with our Passport Sticker book! 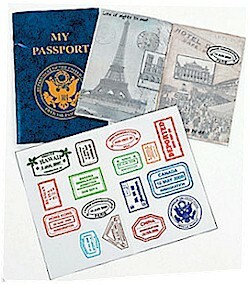 Girl Scouts can “visit” the countries and add stickers or stamp the pages. 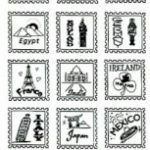 International Rubber Stamps for 20 different countries are available so visitors can stamp their passports. International tasting dishes with free printable recipe cards and our free printable fact cards make a great addition to your Thinking Day or International celebration. Try some of these dress up and souvenir SWAP* ideas too. 5 reviews for "Passport Sticker Book"
These were a good deal for the money. We had considered making our own but with the cost of paper, color ink and time to assemble we could not beat this deal. They will meet our needs for our large group(160) and we were very pleased with them when they arrived. They are nice books, the kids enjoyed them. 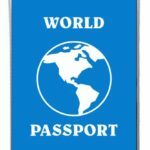 I would like to have had a page for the girls to fill in their information and a place for a picture to make it look like a “real” passport. The stickers are nice but could use a couple more pages. Love these realistic looking passports with numerous sticker stamps. Can’t wait to pass them out to our guests on WTD! These were absolutely perfect for our World Thinking Day event! I have made my own in the past, but these were so much cheaper than buying all of the supplies to make our own and definitely saved me some time. I liked being able to buy exactly how many I needed as well.